I've been to Gran Canaria, Tenerife and Fuerteventura. Jonna's done all these and Lanzarote. I also used to go to Spain in the summer holidays when I was younger. You can hire deck-beds on the beaches of Fuerteventura which are really useful to build a wind-break. 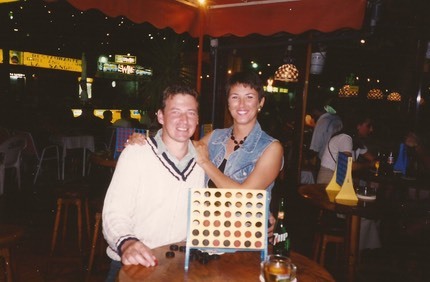 This was us in Gran Canaria, where Oscar's Bar was located. Connect 5 was an enjoyable way to pass an hour or two. 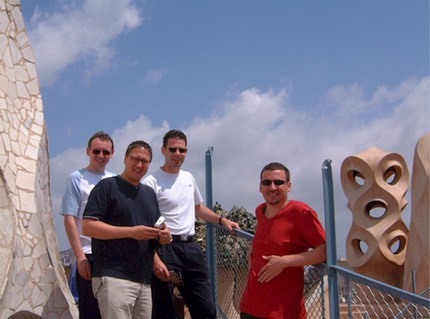 I visited Barcelona in June 2001 for a stag weekend. 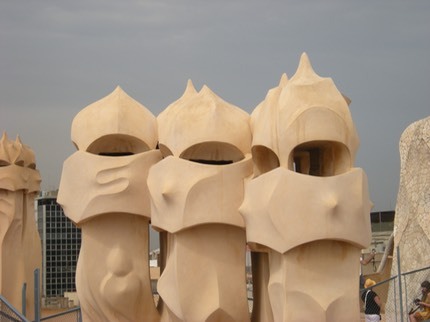 Some of the Stag Crew taking in the cultural side of Barcelona on the roof of some apartments by Gaudi. Well, you have to do something before your breakfast beer. New Year 2006 and Jonna and I spent it in Seville, which I can thoroughly recommend as a cultural visit. Part of the original defenses for Seville this Golden Tower is positioned by the River. 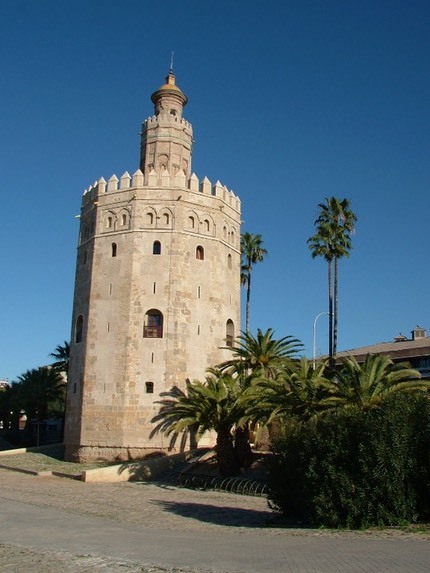 Just one of the beautiful pieces of architecture to see in Seville. Barcelona revisited in 2009 staying with friends who have a flat there. This added to the trip hugely as they had lined up a good selection of tapas places and some nice bars. On the sightseeing front we were both able to catch up on things we had missed beforeThe apartment block designed by Gaudi has a beautiful roof area which you can walk around. These chimney pots are representative of the overall style and should not be missed. 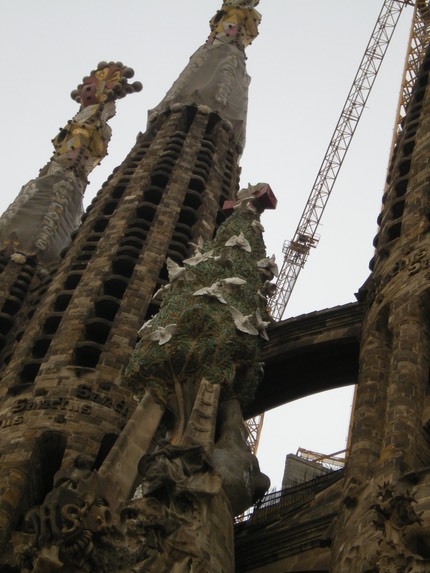 You get good views of Barcelona from the top, including the impressive Sagrada Familia, the as yet unfinished cathedral, also by Gaudi. The golf boys tour of 2011 was based around Guadalmina, south of Malaga. In 2013 we based ourselves in Puerta Banus for 4 more rounds of golf. Excellent location and 4 days of hedonistic fun.